Here we see the river gunboat USS Guam steaming down the Yangtze river in old China. Unlike most of Uncle’s warships, she never once sailed US waters. 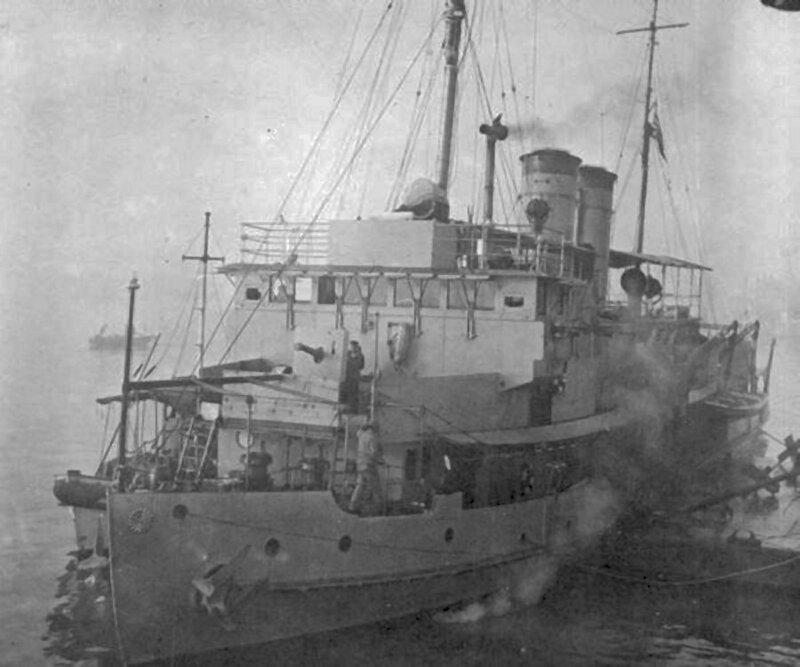 Built in China at the Kiangnan Dock and Engineering Works, Shanghai specifically for the US Navy, she was one of the first new-built Chinese gunboats for the US. Uncle had for generations maintained a fleet of coastal and river gunboats in Chinese waters. 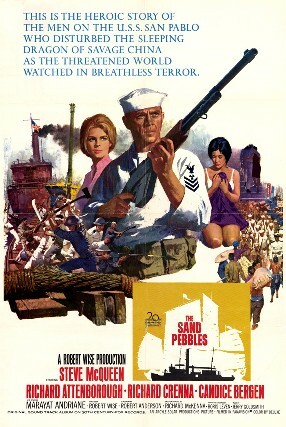 These boats, immortalized in the book and film the Sand Pebbles, were known as the Yangtze Patrol (COMYANGPAT), after the huge river system they commonly haunted. 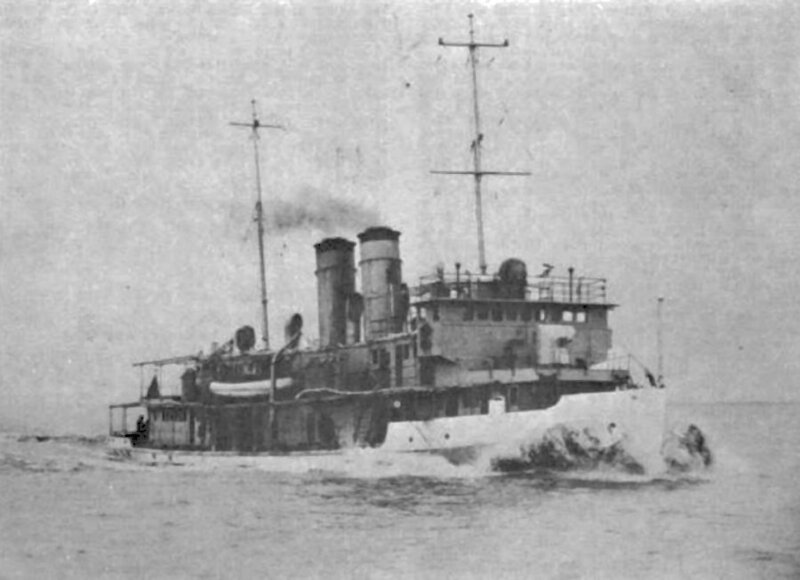 The first modern patrol started in 1901, was with three captured Spanish shallow draft gunboats (USS Elcano, Villalobos, and Callao) that had previously been used in the Philippines. 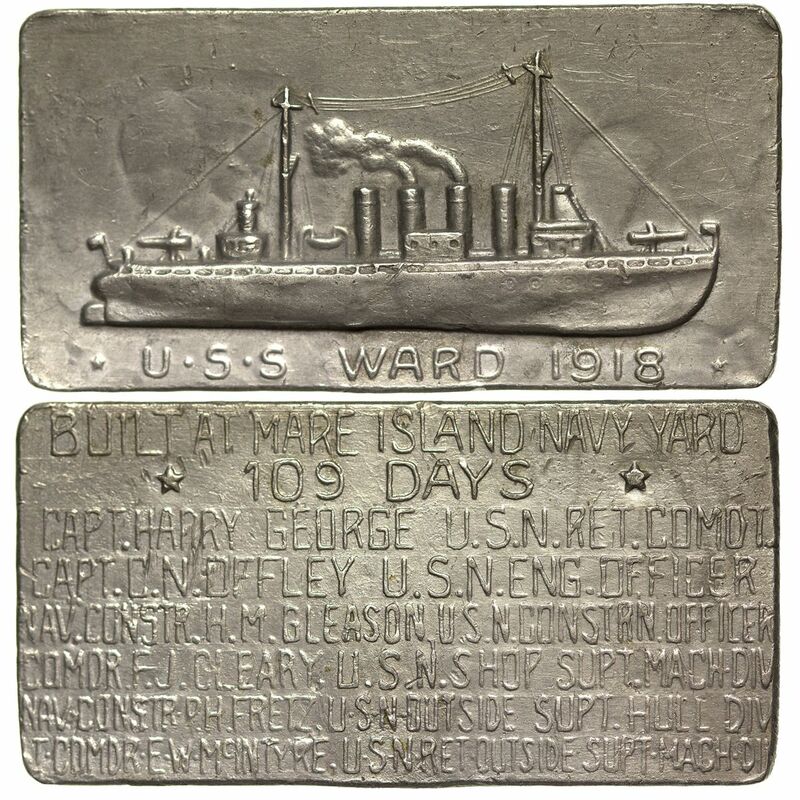 Two more gunboats, USS Palos and Monocacy, were built at Mare Island in California in 1913 and shipped across the Pacific. By 1926 these five boats were all worn out and the navy went shopping for replacements. With dollars always short in the Navy budget, it just made sense to build these new boats in China, to save construction and shipping costs. 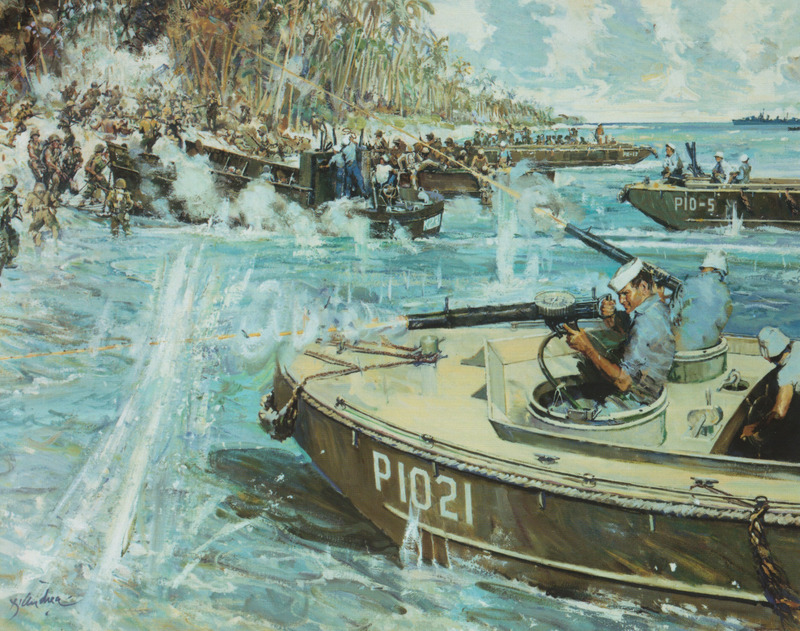 These new ships consisted of two large 500-ton, 210-foot gunboats (USS Luzon and Mindanao); two medium-sized 450-ton, 191-foot boats (USS Oahu and Panay) and two small 350-ton, 159-foot boats (USS Guam and Tutuila). 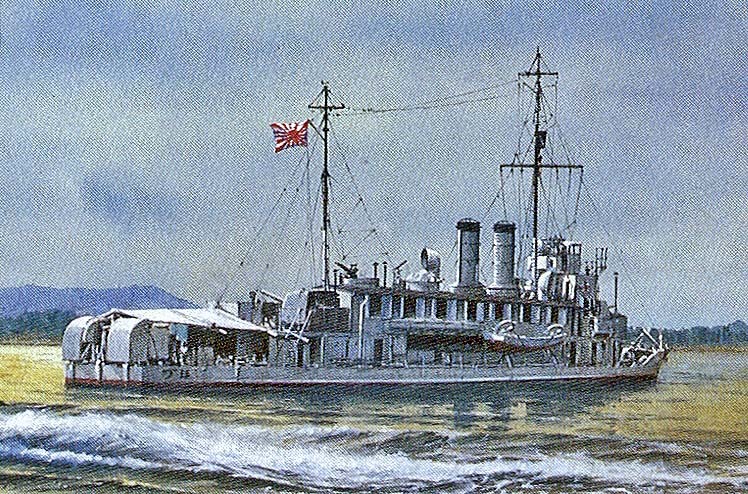 Guam was commissioned 28 December 1927 and carried a designation as a patrol gunboat number 43 (PG-43), then reclassified the next year as patrol-boat, river, number 3 (PR-3) six months later. This change was due to the flat-bottom hulled craft being incapable of at-sea operations. Her 5-foot draft meant she could travel all over the inland river systems and she spent the next 14-years of her US Navy career doing so. She had a quiet life but it was exotic. Warlords, bandits, White Russian refugees, Communist rebels, and corrupt local governments changed every few miles along the river. 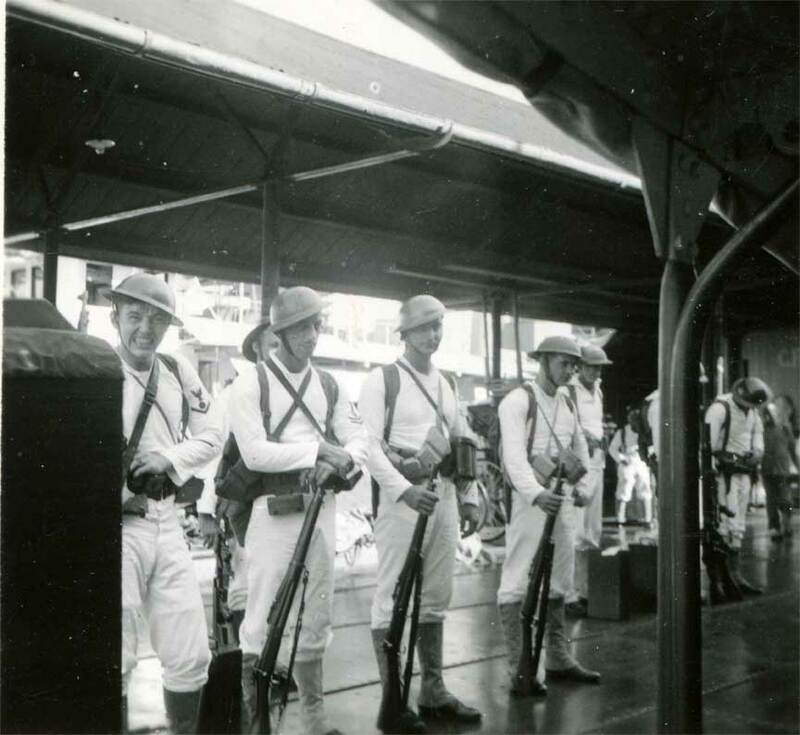 By 1931, Japanese interests in the country meant a dangerous future for the Yangtze Patrol. When Americans in China were in sticky situations from 1901-1941, this is how the brown-water sailors of the US Navy’s YANGPAT came ashore. In December 1937, 12 Japanese fighter-bombers attacked and sunk the larger USS Panay in Nanking, China as the boat was evacuating Americans from the embattled city. Following this incident tensions grew between the Japanese and US Navy ships in Chinese waters and Guam wandered around, decked in as many US flags as could be found, keeping quiet tabs. Just before Pearl Harbor, the four larger ships were withdrawn to the Philippines but Guam and her sister Tutuila were forced to remain behind, planned to be turned over to the Chinese. On December 5, 1941, two days before the US entered WWII, COMYANGPAT was disbanded and the USS Guam renamed USS Wake earlier in the year, was the last US Navy ship in Chinese waters. Most of her crew had already left, transferred to the larger boats, and were in the Philippines. Just the captain and 14 crewmen remained aboard, destroyed vital papers, and wired the ship with scuttling charges. 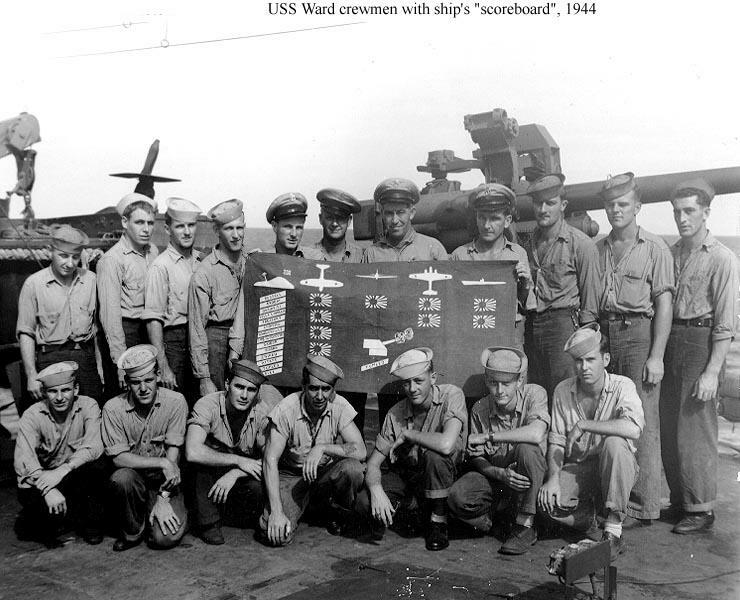 On December 8, 1941, the USS Wake surrendered to the Japanese military as crack marines of the Special Naval Landing Force stormed the ship before news of Pearl Harbor reached the naval vessel. Trapped in a no-win situation at the start of WWII, her captain did what he could to ensure the safety of his sailors who were marched off into five years of Japanese imprisonment. She is the only US Navy ship to surrender in modern times. It is perhaps this fact that has kept the US Navy from commissioning another USS Wake. As of this date, there has never been another. The captain and two other men escaped confinement in 1944 and walked 700 miles to Allied lines. The Japanese used her as a gunboat manned by their local Chinese surrogates under the name of Tatara. 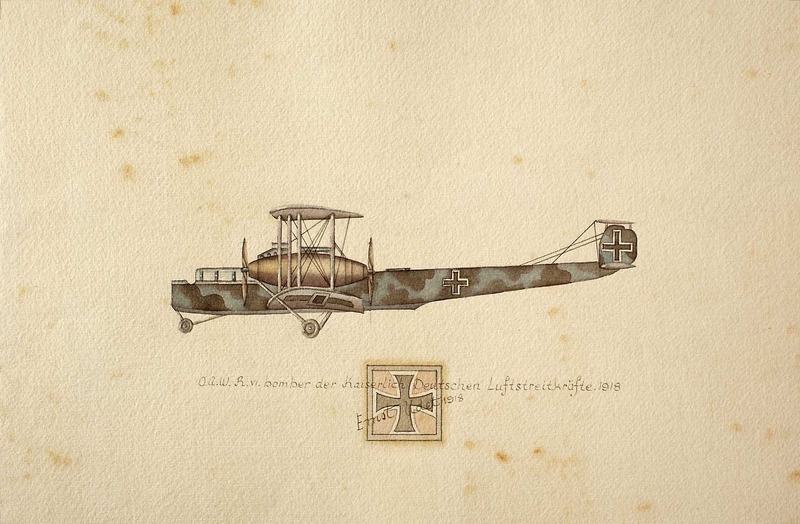 Surviving multiple US air raids during WWII, she was captured by the US Army in 1945 and given to the Nationalist Chinese who used her as the Tai Yuan. In a final, and fitting chapter of her life, she was captured by Mao’s Red Chinese in 1949. They kept the old girl poking around until at least the late 1960s. Her final disposition is unknown. 1942: US-made 3″ guns replaced with Japanese 3″ AA guns. 1946 more light machineguns added. Presumably, refit with Soviet weapons in the 1950s.